More than 400 developers from the island state and around the region including Malaysia, Thailand, Indonesia and the Philippines attended Build Singapore. 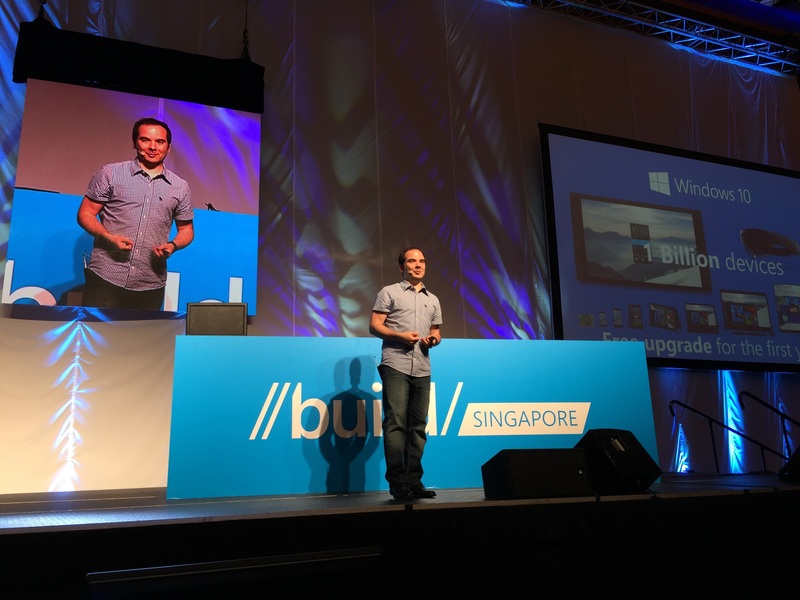 Other presenters at the Build Singapore keynote included Dave Crawford, Senior Design Program Manager at Microsoft, Nikola Metulev, Program Manager in the Engineering Engagement and Evangelism group at Microsoft, and Saranya Sririam, Azure Technical Evangelist for Microsoft APAC. Results of a recent poll with developers in Asia were also shared with the media. Some of the key findings showed that more than 80% of developers are likely to develop for Windows 10 over the next year. Most of them are attracted to the fact that the Universal apps can run across multiple devices, and that the app is likely to get a lot of exposure since Microsoft is aiming to have 1 billion devices running Windows 10 over the next two to three years. This page is generated on 18th April 2019, 14:53:36 (UTC) in 0.559s with 20 queries using 2.0 MiB of memory.